Great for luncheons, banquets, and much more! Disposable - clean up sis a breeze! Serve your customers in style with this 18 in. round black catering tray! Made of thermoform, this tray is crush and crack resistant. 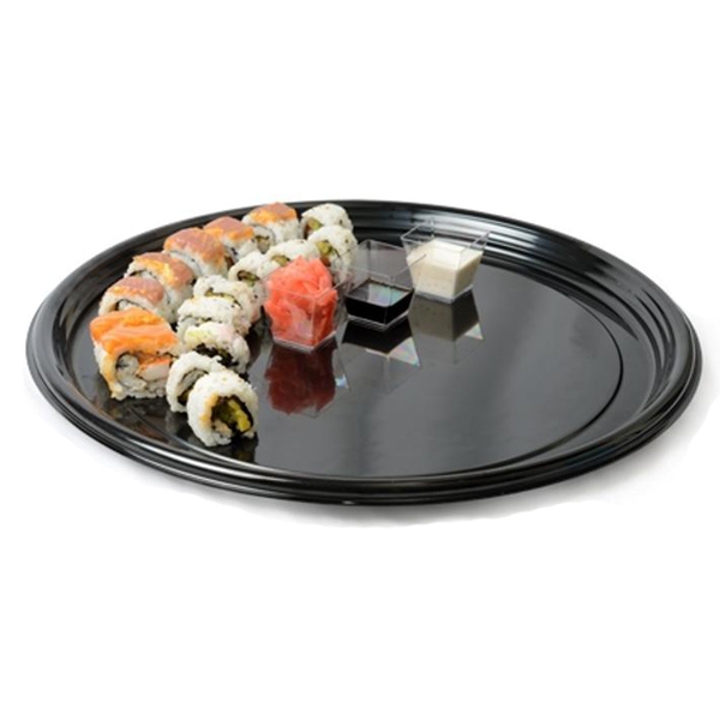 Perfect for serving appetizers, deli meats, and cheeses, our round catering tray is great for luncheons, banquets, and much more!